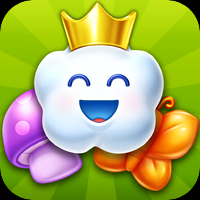 Charm King This game is only available on the mobile platforms above. Capture and collect colorful Charms as you work your way through the most charming NEW puzzle adventure! Conquer tons of fun Match-3 challenges in your quest to earn the crown and become the ultimate Charm King! All games and trademarks are copyright their respective owners. Contact Us if you feel Charm King has been used without proper permission.